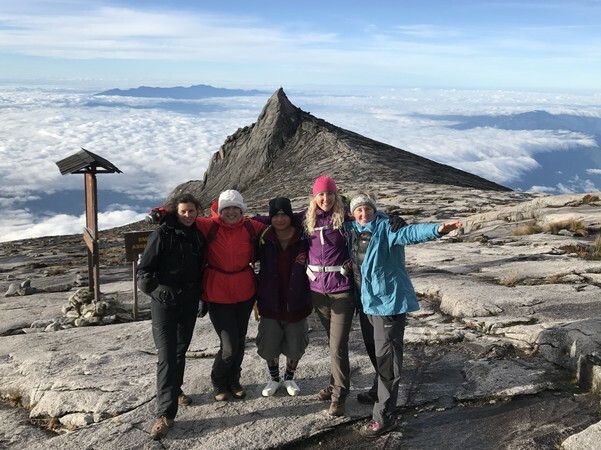 Standing at 4,095.2m above sea level in Borneo, Mount Kinabalu is the highest mountain between the Himalayas and New Guinea. Although a tough climb, requiring a good level of fitness, it is considered to be one of the safest and most conquerable peaks in the world. The mountain and its surroundings are among the most important biological sites in the world, with between 5,000 and 6,000 species of plants and 326 species of birds. It is protected by its National Park status, and is also a World Heritage Site. 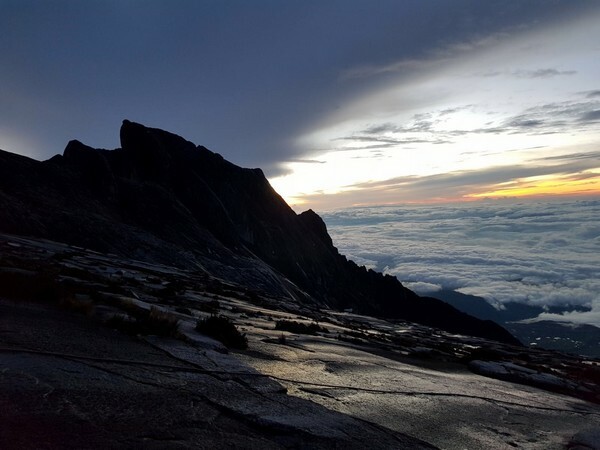 The average person will take two days to climb up and down Mount Kinabalu. There are two trails. 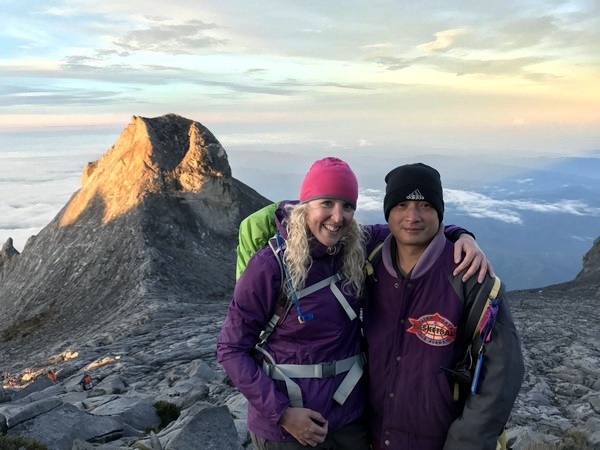 The Ranau Trail takes an easterly course, and the Kota Belud trail takes a westerly course. Its recommended that you go with a reputable guiding company, and there are several to choose from. Although a frequent traveller I’m relatively new to combining exploring and hiking. So when weekend walks turned into a desire to challenge myself by trying hill walking and then mountain hikes, I started looking for a new opportunity. 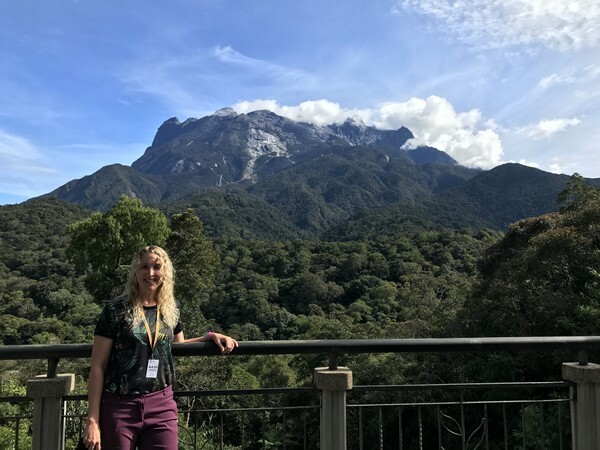 I’d always wanted to visit Borneo, mainly for the wildlife and scenery, and then I discovered that South East Asia’s highest peak, Mount Kinabalu could be found there. This had to be my next challenge! Although relatively fit, I have a fear of heights and lack confidence. I knew that the gym alone would only prepare me so far, therefore I decided to book on a couple of trek training weekends, to build my confidence, practice using my gear and get used to two day’s effort in all weather conditions. I’m so pleased that I did. The hike is a two day/one night ascent of the mountain. It is a tough 8.72 km to the 4,095.2m summit and every step taken is uphill. 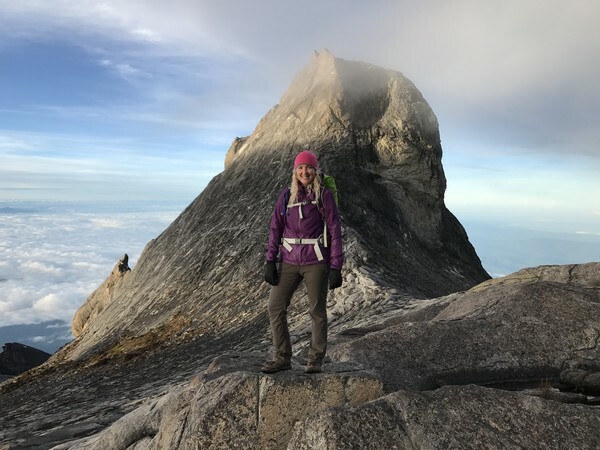 It’s 4-6 hours to base camp where I spent the night before starting the scramble to the top at 2.30am to reach the summit for a breath-taking sunrise over Borneo. 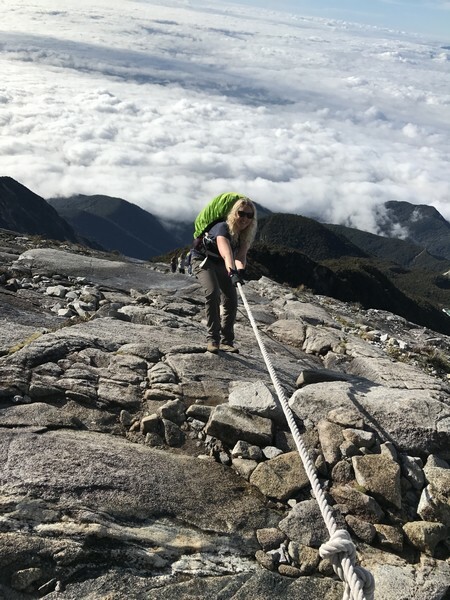 The climb involved negotiating several obstacles along the way – slippery stones, landslide areas, intense humidity, frigid wind and slow paced trekkers but it was totally worth it! It rains a lot in Borneo – use a bag liner, bag cover, dry bags, disposable poncho and zip lock bags to keep you and your stuff dry. Take it slow and steady to adapt to the altitude – listen to your mountain guides and do as they say. 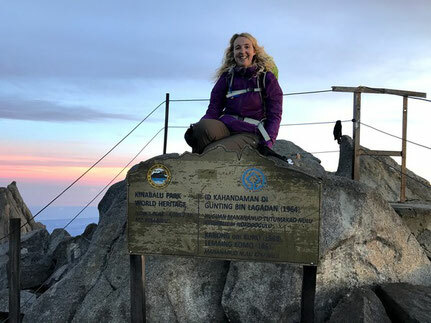 Essential equipment – hydration pack to be able to sip water easily and continuously; trekking poles to help navigate the uneven, slippery ground and to protect your knees on the way down; waterproof gloves to prevent rope burn as you reach the summit; head torch for hands free summit climb. Buy your guides/porters dinner and refreshments, to say ‘thank you’, at base camp. They have to buy their own food there and it is expensive for them. Take loads of snacks and eat little and often to keep your energy levels up.